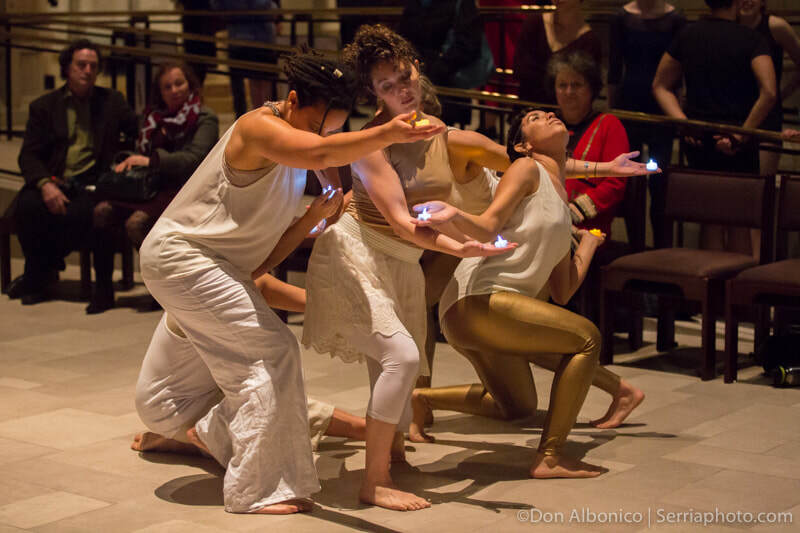 Using local Dance, Theater, Music & Visual Arts, SFMAF (with 200+ local artists) we'll be celebrating both the past year (2017) and the beginning of the new year (2018) in movement arts of the SF Bay Area local art scene - as we turn Grace Cathedral into stage - including the main church floors, hallways, stairways, entryways and attached chapels. The actual performances will be going on, simultaneously, throughout the grand cathedral, as people stroll about like at a farmer's market. more info. 6:00pm - Preshow Entertainment !! 8:30pm - Announcements & Thank You Speech. 8:40pm - Main Performance down center of church. 9:50pm - Meet & Greet - audience & artists - main floor.